While Britain has many records to its credit, the British women have added another feather in the cap - they have been graded as the fattest in Europe !! This leaves countries like Germany, France and Italy behind in the race of obesity in women. 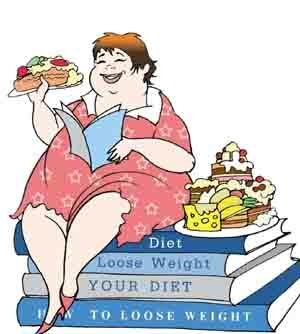 As per a survey, one in four (23.9 per cent) women in Britain are classed as obese, as compared to 15.6% in Germany, 12.7% on France and 9.3% in Italy, reports Mail Online. By the way, British men are not far behind, as one in every five British men is obese.